If you can believe it, by 2018 all of the active cables we mapped in 1996 have been retired. Speaking of throwbacks, our first few maps feature lots of information about voice traffic, including flow infographics and country dialing codes. Cable capacity was even listed as number of voice channels, not bits per second. 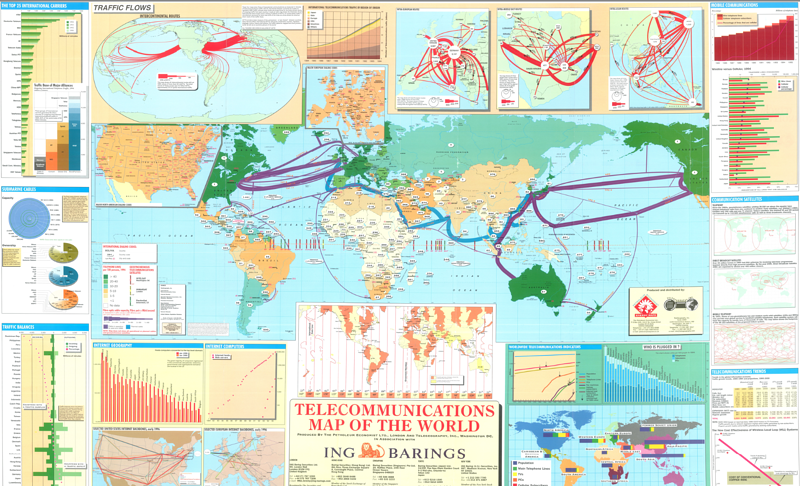 Our second map, published in 1997, hints at the explosion of new, fiberoptic cables that was to come. Several planned systems are shown on the map; some of those cables—like Gemini and China-U.S. that were planned/under construction at the time— have now been retired. 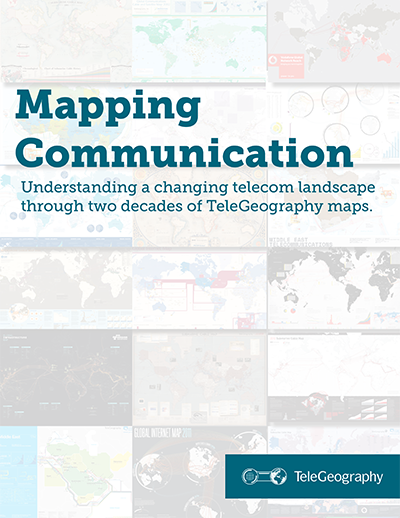 This free e-book stuffs nearly 50 telecom maps and two decades worth of history into one package. Learn from our mapmakers and peruse some of our favorite and most famous designs.